Cable management within the cabinet and outside of it in the data center is a key issue for data center installers. Within the cabinet, the cables have to be managed in the front both vertically and horizontally, in the sides and at the back. The manufacturers have divided the available space in the cabinets into zones. 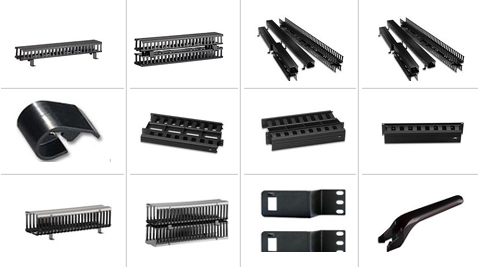 For each zone a range of accessories is available to suit the conditions in the cabinet, which simplifies cabling and thus helps to include as many connections as possible in a distribution cabinet. Proper cable management within the cabinets will offer a number of benefits. These include reduced signal interference, improved maintenance and serviceability, enhanced cooling efficiency within the rack by avoiding air flow blockage.